In the age of one stop shopping, we at Cosmetic & Family Dentistry of Weatherford know that our customers want a dental experience that can meet all of their oral care needs. That’s why Dr.s Deborah Romack and Garrett Mulkey have knowledge and experience in a wide range of dental specialties. We are truly your one stop oral health shop near Aledo. Our convenient Weatherford, TX office offers preventive and restorative dentistry, sedation dentistry, cosmetic dentistry, children’s dentistry and orthodontics. No matter what dental care your family needs, our dedicated dental team will put a smile on your face. If you’re new to town, need a new dentist after yours retired, or just need more dental care options, Cosmetic & Family Dentistry of Weatherford invites you to contact us today for an appointment. Unless your child has significant dental health concerns, it is unnecessary for him to see a pediatric dentist. The main reason children should visit pediatric dental specialists is the atmosphere. Offices that cater to children’s dentistry are more fun and colorful, but at Cosmetic & Family Dentistry we offer a fun, friendly environment for younger patients with the added benefit of serving the whole family from infant to senior care. Dr. Romack is also an orthodontic specialist, and a large number of children will need orthodontic care once their adult teeth come in. At our practice, your child doesn’t have to visit us for regular checkups and cleanings and then go to orthodontic appointments. We’ve got you covered. We all need different types of dental care at each stage of our life, and a family dentist is well equipped to your meet your needs at any stage of life. Our team will make sure you have all the facts about your dental care needs, and provide you with a variety of options for any oral health concerns that may arise. From our outstanding children’s dentistry, to caring for your teeth while you’re pregnant, and seeking care as you and your teeth age, Cosmetic & Family Dentistry of Weatherford is here for you. Most people know that they should have an oral examination and dental hygiene appointment every six months, but this essential preventive dentistry is not all there is to general dentistry. General dentistry also includes screenings for possible periodontal (gum) disease, TMJ, sleep apnea, and oral cancer. These potentially harmful, chronic health concerns, when caught early are much easier to treat. At each of your visits you will be screened for any of these oral health concerns, and our practice thinks treating these chronic illnesses is all part of general dentistry. Our dentists will treat gum disease, TMJ, and sleep apnea right in our office. If we find oral cancer, we will work closely with physicians and oncologists to develop a treatment plan that works for you. 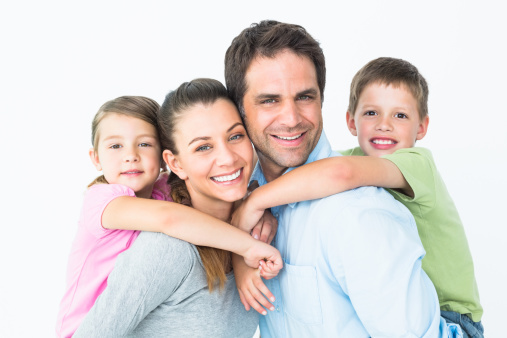 Our practice is dedicated to meeting the oral health care needs of your entire family. We have invested in the best dental team, state-of-the-art technologies, and training and education for our staff. This time and attention to meeting your needs is passed on to you. We invest time in each patient and truly care about your dental care goals. That’s why at Cosmetic & Family Dentistry of Weatherford we pride ourselves on providing all the amenities of big city practices with the warm, welcoming family dentistry environment of a small town practice. If you or your loved ones need a great dental care team in the Aledo area, Cosmetic & Family Dentistry of Weatherford is right in your back yard. We offer the care, technology, and amenities that are typical of our peers with big city practices, but you shouldn’t have to drive to the city for the best oral care. Call to schedule an appointment today. Our Weatherford practice welcomes patients from Aledo, TX and other surrounding communities including Brock, Millsap, Springtown, Mineral Wells, and beyond.